Gone are the days when to become social mean, you gather in a place function or any get together. But in this digital revolution the Social media has changed the scenario completely. By using Social media management tools you can achieve targets and goals for growth of your business. Before starting You should have Social media marketing Strategy for your business. Social Social media platforms like Facebook, Twitter, Snapchat, LinkedIn, WhatsApp, Pinterest, Instagram etc. are becoming more and more popular. You can easily share ideas and information. You can link with each other and still being remote. By using Social Media Management Tools, our life becomes really easy and manageable. Which are the Best Social media management tools? Which tool offer Social media free plan? 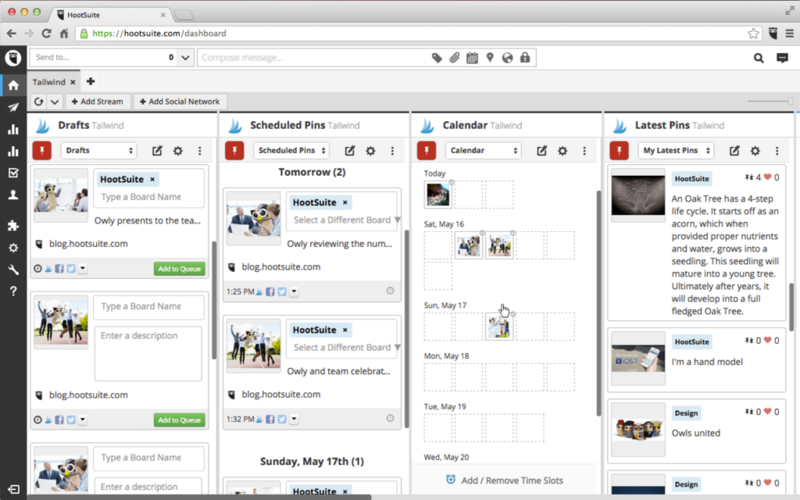 HootSuite is one of the most used Social Media Management Tools. HootSuite offers lot of features which are suitable for Small and Enterprise Business as well. It is also one of the old Social media management tool. Publishing Content – You can upload several social media posts at a time. But no auto post feature. RSS integration available. Social Engagement – No Social Message Inbox to manage. Social Contest can be used to generate leads. Influencer Search– No facility to find influencers. Client management Support – Basic Features and custom branding URLs. Next is Buffer tool. 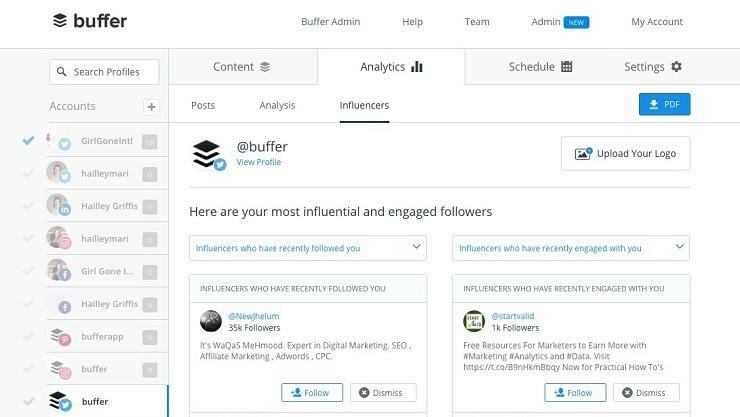 Similar to Hootsuite, Buffer has been here in social media management space for a long time. Publishing Content – You can upload multiple social media posts at a time. Schedule content while browsing web with their Chrome Extension. RSS integration available. Buffer also suggest time to schedule your post with content calendar for the best results. Social Engagement – Reply feature for better social engagement. But supports only Facebook, Twitter, Instagram Comments. Social Contest can be used to generate leads. eClincer’s post publishing and scheduling content tool lets users create and manage drafts, queue content and auto-post with content calendarmws17@rediffmail.com. Content management and curation ­tools let users­ create and share images and animated gifs, and a free image library is included. Users can monitor and engage with live social feeds and custom search feeds. The inbox displays messages, comments, notifications and new followers across various social channels. Publishing Content and RSS – Auto Post for Publishing Content and RSS Integration to automatically publish blog posts. Suggested Content – allows you to use keywords or categories to quickly find articles to share with your audience. Social Engagement – Offers a Social Inbox which lets users manage social media accounts. Influencer Search – Offers users the ability to search for influencers on Twitter, view them by different categories by topic, ranking, location, and interact with them. Client Management Support – If you are agency you can manage several clients at a time with lot of and dedicated features for each client management. $199 6 user/month , 100 social profiles (10 profiles per brand or client) , profiles/brands/users can be added , unlimited posting & analytics reports. Features – Has an in built Customer Relationship Management system (CRM). Monitoring (although not quite as comprehensive as Mention or the likes of Brandwatch). Support for teams (drafts, calendar, tasks etc). Support for multiple profiles, departments, and companies. Security and ability to set specific permission levels and roles. Analytics & Reports. Helpdesk facility (on Premium and above plans) to use social media for customer support. Mobile apps for iPhone, iPad and Android. Integrates with Feedly (for your RSS feeds). Publishing Content and RSS – Basic features and few more customization available. Social Engagement – Offers a Social Inbox which lets users manage social media accounts, social monitoring and keyword searching features that help you monitor your brand on social media. Influencer Search – does not have an influencer search feature. Client Management Support – Basic Client management Feature available. I hope this article has helped you, but perhaps you feel you need some expert help. If you have a very specific need for a particular feature then we can definitely suggest you the exact tool that suits best for your needs. Also you can ask questions about Social media management tools in the comment below.